Trouble on a similar scale to August 2011 would now be met decisively, says national public order lead. Severe disorder on the scale seen in England and Wales during August 2011 would now be dealt with in a far more effective way, the national lead on public order has said. 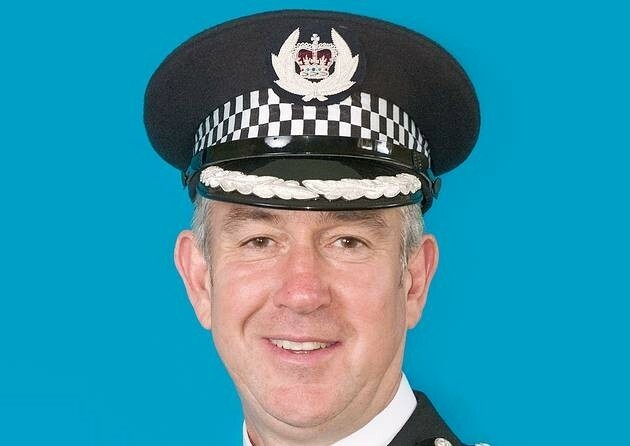 In an interview with PoliceOracle.com on the second anniversary of the trouble that engulfed London and other cities, Kent Chief Constable Ian Learmonth (pictured) stressed that intelligence gathering, doctrine and tactics had all improved following a major review. He said that the new approach had been tried and tested during July’s major mutual aid mobilisation in Northern Ireland, which saw more than 600 officers from the UK mainland square up to serious violence that flared at the height of the parading season. “If there was trouble in London and other places on the same scale as we saw in early August 2011, I believe things would now be very different,” said CC Learmonth. “In the first instance, intelligence improvements mean the likelihood of disorder would be spotted a lot sooner – and once it had been identified we would be deploying significant resources. It is far easier to deal with a situation if it is addressed at an early stage. As reported on PoliceOracle.com, serious concerns had been raised about the police response to the 2011 riots, which initially flared after Mark Duggan was shot dead following the deployment of a police armed response team in Tottenham, north London. Subsequent trouble saw an eruption of disorder across most of the Capital’s boroughs as well as other cities including Birmingham and Manchester. There was widespread looting and arson while scores of officers were injured in the face of vicious attacks. The situation was finally quelled with an unprecedented police mutual aid operation – which saw 16,000 pairs of boots on the ground in London alone at its height. Critics of the initial response to the trouble included the then HM Chief Inspector of Constabulary Sir Denis O’Connor, who called for a top-down review of public order policing, and the Home Affairs Committee, which suggested an overhaul of training and deployment processes. But CC Learmonth, who has led and implemented revisions to public order for the Association of Chief Police Officers (ACPO), was confident that new processes are already proving effective. He believed that there were now enough resources – with just under 300 Police Support Units available for mobilisation, and hundreds more trained officers available to ensure strength in depth – to tackle simultaneous disorder in three large urban areas. The chief said that there was now a clearer system in place to ramp up the response if there was an escalation in trouble. He pointed out that commanders could have the confidence that they would be backed if they used more robust measures to deal with violence and protect property – including the use of Attenuating Energy Projectile (AEP) baton rounds. In previous situations before the August 2011 disorder, such as the G20 and Millbank protests in London, officers had been criticised for being both too robust and too lenient. But CC Learmonth said the police position had been spelled out to politicians and members of the public. He also highlighted that the new system had showed promise – the mutual aid deployment to Belfast had seen officers moved to Northern Ireland with only 24 hours of notice and pressed into action to deal with severe disorder that flared after the Ardoyne parade. The officers – who were all volunteers – had been put through a specialist Police Service of Northern Ireland (PSNI) training package ahead of the early G8 summit in County Fermanagh.